Japan’s Wooden Heritage: A Journey Through a Thousand Years of Architecture brings together essays by architectural historian Terunobu Fujimori, photographs by Mitsumasa Fujitsuka, and commentary by structural engineer Mikio Koshihara that originally appeared in Kateigahō, Japan’s premier magazine of art and culture, supplemented with additional essays by Mitsumasa Fujitsuka. Japan’s world-renowned tradition of wooden architecture has frequently been the subject of both specialist and popular texts. Indeed, from ancient Shinto shrine buildings to imposing Buddhist temples, rustic farmhouses to merchant homes, multi-tiered pagodas to tea ceremony spaces, the stylistic breadth of traditional Japanese architecture across the centuries offers a dazzling array of material through which to glimpse Japan’s history and culture. Whether lavishly photographed coffee table books, technical treatments filled with meticulous diagrams, or ethnographic works focusing on regional variation, there is no shortage of books surveying outstanding examples of traditional Japanese architecture. What distinguishes this volume is its selection of 23 locations—including well-known temples and shrines but also lesser-known structures such as a kabuki theater, covered bridges, and an old ferryman’s hut—to represent a broad scope of architectural styles, functions, and time periods; the outstanding photographs; and the distinct approaches taken by each of the three essayists. 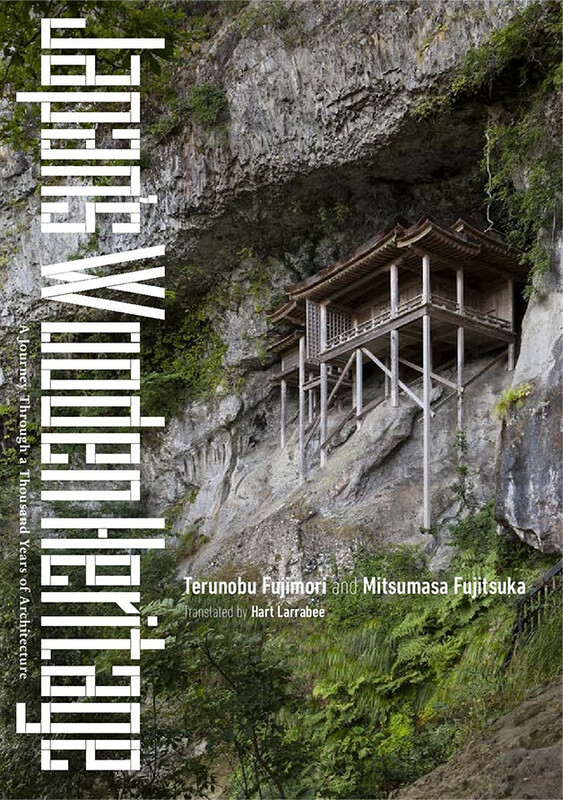 As an architectural historian, Fujimori engagingly illuminates where each building stands in the context of the evolution of Japanese architecture from early pit dwellings and raised-floor buildings through the elaborate complexity of the Edo period. Focusing on origins, he places each building in a deeper context beyond its superficial characteristics. Fujitsuka’s essays describe his efforts to capture the essence of each site through his photography, recounting episodes from the shoots that give a visceral sense of being there. His photographs reveal new aspects of even familiar buildings by employing rarely seen camera angles and his particular sensitivity to light and shadow. Filled with new discoveries for the reader, this book will appeal to anyone with an interest in Japan’s architecture, history and culture. Terunobu Fujimori is professor emeritus at the University of Tokyo. His specialty is modern and contemporary architecture. His numerous publications include Meiji no Tōkyō keikaku [Meiji Plans for Tokyo], Kenchiku tantei no bōken Tōkyō hen [Adventures of an Architectural Detective: Tokyo]. Mitsumasa Fujitsuka is a photographer known for his dynamic, journalistic shots of structures and environments. He is the author of Dō natte ru no? mijika na tekunorojī [What Makes It Work? : Familiar Technology] and the Kenchiku rifuru [Architectural Riffle] series. Mikio Koshihara is a professor at the University of Tokyo Institute of Industrial Science and Director-General of Team Timberize. He investigates the potential of a variety of materials from a structural perspective. 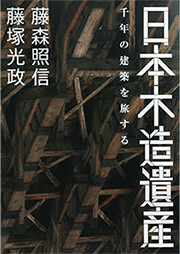 His publications include Toshi mokuzō no vijon to gijutsu [Vision and Technology for Metropolitan Timber Architecture].